Summary: Binge eating disorder (BED) is an eating disorder characterized by recurrent binge eating episodes, without compensatory behaviours (such as vomiting) that would be seen in bulimia nervosa. Associated symptoms include depression, anxiety, and interpersonal sensitivity. Ms. A is a 25-yo female who presents wanting help for out of control eating. She reports having a stressful job and the other month, her boyfriend unexpectedly left her for her best friend. Since that time, she has been feeling anxious and depressed. Food has always been a comfort for her, and with her recent stresses, she found herself eating more than usual. She would eat an entire bag of chips, or a pint of ice cream. Although it helped with her anxiety initially, her eating has gotten “out of control”, to the point where she has gained significant amounts of weight, which has now become a stress. She comes to clinic specifically wanting help for her out of control eating. 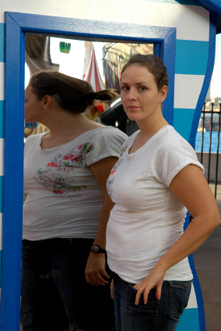 Are you unhappy with your body weight and shape? Are you dieting? Have you dieted much in the past? Some people eat large quantities of food in an out of control way. Has this ever happened to you? Many people eat large quantities of food in an out of control way. Does this every happen to you? How often? How long does each eating session last? Many people, after eating in this way feel very badly. Do you ever feel badly about yourself after eating in this way? Many people try to compensate for this eating by getting rid of the food or compensating for it somehow. Has this ever happened to you? E.g. making yourself sick/exercising/using laxatives? Have you undergone any surgery to help with your weight concerns? E.g. bariatric surgery? Are there compensatory bulimic behaviours (such as binging/purging) which might suggest bulimia? Is the patient overweight and/or obese? If the full criteria for both BED and obesity are met, both diagnoses should be given. Does the patient have episodes of increased mood with decreased need for sleep? Does the patient have depression? Does the patient have depressed mood, with neurovegetative symptoms such as problems with sleep, appetite, or weight gain? If the full criteria for MDE and BED are met, both diagnoses can be given. Does the patient have borderline personality disorder, i.e. tendency to feel insecure in relationships? If the full criteria for both disorders are met, both diagnoses should be given. Refer to a mental health agency or professional in order to provide counselling/therapy. Cognitive distortions: “I’ve already binged, so I might as well eat the rest of this bag of chips” “I didn’t eat lunch, so I an eat this pint of ice cream”, etc. Explore problem solving options, distraction strategies, exercise, meditation, mindfulness, relaxation exercises, etc. APA Practice Guideline for the Treatment of Patients with Eating Disorders Third Edition. June 2006. Eating disorders: Core interventions in the treatment and management of anorexia nervosa, bulimia nervosa and related eating disorders. NICE Guidelines [CG9], published Jan 2004. CWEDP (2010) Putting Eating Disorders on the Radar of Primary Care Providers. Goldfein J, Devlin M, Spitzer R. Cognitive Behavioural Therapy for the Treatment of Binge Eating Disorder: What Constitutes Success? Am. J. Psychiatry 157:7, July 2000. McElroy et al. : Topiramate in the treatment of binge eating disorder associated with obesity: a randomized, placebo-controlled trial.. 2003 Feb; 160(2): 255-61. Roscoe C. Eating Disorders Unit III Lecture. Presentation 2015. University of Ottawa Medical School. Sim LA, McAlpine DE, Grothe KB, et al. Identification and Treatment of Eating Disorders in the Primary Care Setting. Mayo Clin Proc. 2010; 65(8): 746-751. Williams PM, Goodie J, Motsinger CD. Treating Eating Disorders in Primary Care. Am Fam Physician. 2008; 77(2):187-195, 196-197. Written by Khizer Amin (Medical Student, uOttawa Class of 2016) and Talia Abecassis (Medical Student, uOttawa Class of 2017). Reviewed by members of the eMentalHealth.ca Primary Care Team, which includes Dr’s M. St-Jean (family physician), E. Wooltorton (family physician), F. Motamedi (family physician), M. Cheng (psychiatrist). Schools will often request additional information on how to support their student. This is a sample letter that can be modified for use with your patient. I am writing to give you an update regarding this student who has a medical condition. Accommodations and modifications are essential so that this student will be able to participate in the school curriculum. Create a support network at the school for this patient. Identify a key ‘Case Coordinator’, as well as a core group of adults who can get to know the patient better and provide support. If there is not already an Individualized Education Plan (IEP), then create an IEP with supports. Create an environment where students feel accepted, and are not judged on the basis of their physical appearance, including weight and body type. Negative comments, teasing and harassment must be avoided. In addition, positive comments such as « You’re looking great today, did you lose weight? » should be avoided as well. Positive comments are still judgment, and this student is sensitive to judgment. Teach media literacy skills so that students understand the unrealistic and false messages that the media sends us about unhealthy body types. Focus physical education on healthy active living rather than on losing weight. Provide general information about eating disorders. There are curriculums about mental health and eating disorders available, such as through www.teenmentalhealth.org. Avoid showing Hollywood movies or other dramatizations about eating disorders they may inadvertently glamorize having an eating disorder. Don’t show videos on animal cruelty. For children at risk, it may be traumatic and lead them to become vegetarian, which can lead to food avoidance/phobia and contribute to developing an eating disorders. Avoid activities that may lead to judgment over their bodies. Avoid weighing students in front of each other. Avoid measuring students’ body fat with calipers. The most important way to support any student, with any issue, is to provide an environment where they feel that the adults care. Show your caring by spending time with the student, taking time to get to know the student. When the student talks, listen to the student’s feelings, and validate those feelings. Even if the student says things that you do not agree with, try to avoid the natural tendency to jump in with criticism, advice or correction. Validate, « Wow, that must be very hard… It can’t be easy feeling that way…"
If you feel that the student might be ready, perhaps ask tentatively if the student would be open to your suggestion, « Can I give you my opinion?" And if the student seems somewhat open, then you can say something like, "You’re a beautiful person… And here are all the reasons… You have a beautiful smile... You are sweet and gentle..."
If you hear the student talking negatively about his/her weight or body, then speak further to the student. Let others know, such as the student’s parents, the school guidance counselor, social worker or other necessary staff who can provide support. The website of the Eating Disorders Association in Australia has information about eating disorders for parents and professionals. Resources for professionals include "Eating Disorders: An Information Pack for General Practitioners". Information by eating disorders support organization for professionals on how to support those with eating disorders. Sections include practical dialogues on how to talk to those with suspected eating disorders. Information for health professionals about eating disorders, including information about screening; prevention, and practice guidelines. The Academy for Eating Disorders is a global professional association committed to leadership in eating disorders research, education, treatment and prevention. Their website has information for professionals about eating disorders, as well as videos. Support forum for parents and caregivers of anorexia, bulimia and other eating disorder patients. Sponsored by FEAST, organization of parents serving parents and caregivers of patients of all ages with eating disorders. French website (from France) providing information about the prevention and treatment of eating disorders such as anorexia, bulimia. Site web très complet sur les différents aspects de la maladie: description, conseils, questions les plus fréquentes, présentation des thérapies, témoignanges, vidéos, etc. Online resource with information for parents and caregivers on how to support a loved one with an eating disorder. Information from the Kelty Mental Health Resource Centre about Eating Disorders. Very helpful video for parents about how to support their loved ones with an eating disorders during meal times. Website for parents of eating disordered children, who have helped their children recover using Family-Based Treatment, also known as the Maudsley approach, an evidence-based therapy for eating disorders. Information website as well as telephone hotline for information about eating disorders. Produced by the Central West Eating Disorder Program (CWEDP) in Ontario, Canada.